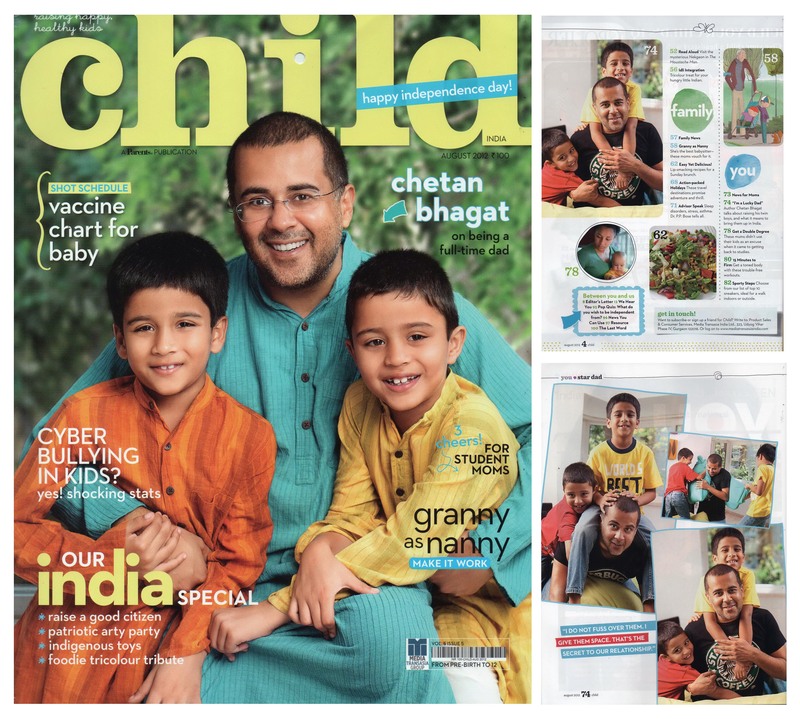 Vikram’s recent shoot with Chetan Bhagat and his two adorable boys for Child Magazine, was one of the most fun and prestigious shoots we had in a long time. No makeup, no posing, no planning and no temporary set. This photoshoot was to capture fatherhood in all its glory – an absolutely natural picture where he would be enjoying and playing with his kids. Chetan Bhagat, a well known author who enjoys the title of “The 100 most Influential people in the world” by Times, is the most grounded person one would ever come across. I would call him powerful. After all, how many people do have the power of being read and understood by millions of people worldwide? Chetan has written five fiction novels and has recently launched his first work of non fiction – “What young India Wants”. This entry was posted in Uncategorized and tagged chetan bhagat, Fashion, megha Dave, Photographer, Photography, photoshoot, Vikram Bawa by Vikram Bawa. Bookmark the permalink. Wonderful pictures of India’s favrt auther..